Often when a couple considers joining Fortitude Ranch one is eager to join, and the other does not believe prepping is necessary. 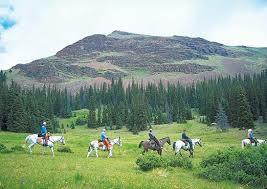 Sometimes the ability to use Fortitude Ranch as a recreational and vacation facility convinces the other to join, and often they decide to wait. The problem with waiting to join Fortitude Ranch is that when there is a crisis brewing, or a 60 Minutes show on a new threat like bioengineered viral pandemics, millions may want to join Fortitude Ranch when we have just a thousand openings. The only way you can join then is to own our cryptocurrency membership token which gives you priority to join. We are raising funds now to expand from two existing facilities to a dozen sites across the United States by selling advance membership or “contingent membership” in Fortitude ranch via a cryptocurrency utility token. 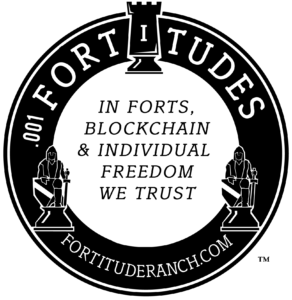 Our cryptocurrency token, called a Fortitude, gives you a discount price on Fortitude Ranch membership, protection from membership price increases, and priority in joining FR when waitlists occur. If you own Fortitudes, when a major crisis or media reports on developing threats, leads to a surge in demand for membership in FR beyond our capacity, you’ll have first place in line to join. The price of Fortitudes will likely spike since those desperate to get in will need Fortitudes to have first place in line. If you think you can just wait to buy Fortitudes in the crypto exchange markets when you need them to join, you may find that the price has gone too high and you can’t afford enough Fortitudes to join. To illustrate the value of having our tradable membership token and this contingent membership option to join Fortitude Ranch, consider a family of 3 that wants to join Fortitude Ranch when our new location in Wisconsin is built. To lock in the 25% discounted price and, get both protection from price increases plus priority to join if a wait list forms, they purchase 11.25 Fortitudes at a cost of about $1,125 during the Initial MemberCoin Offering. A poor family of 3 that wants protection, decides to purchase just 6 Fortitudes, knowing that as long as they can do at least 50% of the payment in Fortitudes, they also get priority to join when a crisis or news of a pending disaster leads to a spike in demand to join FR. Later, the wealthy family moves to a rural area where they feel safe, and decides to give half of their Fortitudes to friends in a big city who need FR protection. During a crisis when the price of Fortitudes jumps, they sell their remaining Fortitudes at a big profit. Fortitudes are also an ideal gift for friends and family. In past sales of FR membership, we often heard elderly say that they were less interested in buying membership for themselves than buying FR membership for their sons, daughters and grandchildren. Fortitudes are an especially valuable gift for those who live in major cities or suburban areas that will be particularly hard hit and high risk in a pandemic or long term electric outage or other major disaster. You may also regard Fortitudes as a form of insurance—offering priority rights to join FR when there is excess demand and some “peace of mind” from this priority placement and right to buy in at the discounted price. For information on buying Fortitudes, go to the “Initial MemberCoin Offering” tab.